You don’t need to own a boat in order to sail on Lake Grapevine! By joining the Grapevine Sailing Club’s SailAway Program, you can sail any of three Club-owned sailboats - two Catalina 22’s and a Hunter 23. The boats are in slips at Scott’s Landing Marina ready to go and can be chartered in 5 hour intervals for cruising. 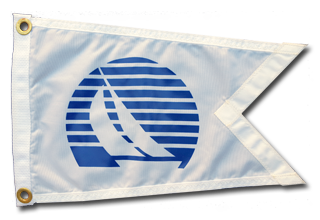 The cost to join the SailAway Program is $425 annually, in addition to Club dues; truly a bargain compared with other options! Plus, the boats are maintained by the SailAway Participants. In addition to sailing, you have the chance to learn repair techniques from fellow sailors and experience the camaraderie of the group during “work parties”. To join SailAway, you must first be 18 years old or older and a member in good standing of the Grapevine Sailing Club (if you are joining the Club at the same time, complete that process first). Complete the online SailAway application below. Once your application has been accepted, you will be given a series of three check rides to assess your sailing skills. You must pass these assessments before becoming a SailAway Skipper. Following that, you are allowed to charter a boat through an online reservation system. In order to ensure the best experience for all SailAway participants, there is a limit on the number of participants allowed. If we are at the maximum, you will be placed on a waiting list and contacted when there is an opening in the Program. Contact us with questions via email. Whether you are between boats, considering owning a boat, want to increase your skills or reuse skills from the past, this Program offers a unique opportunity to sail away!